The Gunners are trying to bounce back after a very disappointing sixth-place finish last season under new manager Unai Emery -- Arsene Wenger has departed at last. They scored 74 goals last season, tied for third with Tottenham Hotspur, but conceded 51 goals -- 13 more than any other "big six" club. Midfielder Granit Xhaka would have been Arsenal's best fantasy performer last season, finishing 12th among outfield players in fantasy points, but that's primarily because he was second in the league in passes completed (2,708) ... he only scored one goal. They do have some very talented attackers, though -- particularly forward Pierre-Emerick Aubameyang, who scored 10 goals in 13 games at the end of last season after coming over from Borussia Dortmund. Player to watch: Aubameyang. His production at the end of last season was spectacular. And he'd scored 13 goals in 16 league games for Dortmund prior to that, and 31 goals in 32 league games for Dortmund the previous season. Aubameyang got off to a slow start this season, but finally scored his first goal in Arsenal's 3-2 win over Cardiff City last weekend. They are back for a fourth straight season in the first division, after finishing in 12th place a year ago. Bournemouth conceded 61 goals last season, fourth-worst in the league. But their top four players fantasy-wise would have been defenders. Don't get too excited, though. Nathan Ake would have been the only one to crack the top 50 outfield players in the league (36th). Ake was seventh overall in clearances (229). Player to watch: Joshua King. Two seasons ago he scored 16 goals, but that number was cut in half last season. Was 2016-17 a fluke? Probably, but he's only 26 years old -- maybe he'll bounce back? King has scored one goal in the first four games of this season. Staying up was Brighton's main objective after returning to the top flight for the first time in 34 years, and they accomplished that last season, finishing 15th. They only scored 34 goals, but were relatively hard to score against, giving up only 54 goals -- of the non-"big six" clubs, only Burnley and Newcastle conceded fewer. Goalkeeper Mathew Ryan would have been ranked sixth among goalkeepers in fantasy points. Midfielder Pascal Gross accumulated seven goals, eight assists and would have been ranked 25th among outfield players in fantasy points. And defenders Shane Duffy and Lewis Dunk would have been ranked 45th and 46th -- Duffy led the league in clearances and blocks, and Dunk was second in blocks. Player to watch: Alireza Jahanbakhsh. Brighton paid a club-record transfer fee for the 24-year-old Iranian attacking midfielder, who led the Dutch Eredivisie with 21 goals last season for AZ Alkmaar, and also had a joint-best 12 assists. He certainly won't replicate those numbers in the Premier League, but he could still be productive, although he hasn't started a game yet this season. They are coming off an outstanding season for a club of their size, finishing seventh and qualifying for the Europa League. Unfortunately that has already cost them, as goalkeeper Nick Pope -- who would have been ranked second among goalkeepers in fantasy points last season -- suffered a dislocated shoulder in a Europa League, and is facing a long stint on the sidelines. Burnley only conceded 39 goals last year, but their defenders wouldn't have been stars fantasy-wise. Ben Mee was their highest-scoring defender, but only would have been ranked 105th among outfield players. Midfielder Johann Berg Gudmundsson (58th) would have been their best outfield player. Player to watch: None -- at least at the moment. After a scoreless draw against Southampton in their season opener, Burnley has lost three straight league games and has been outscored 9-3 in the process, no doubt drained from playing all those Europa League qualifiers (which are now over). Until they get their act together, this isn't a team to depend on fantasy-wise. They finished second in the Championship last year, earning one of two automatic promotion places. But the previous time they came up, in 2013, Cardiff lasted just one season in the Premier League. They conceded only 39 goals in 46 games last season, tied with Wolverhampton Wanderers -- the champions -- for the best defensive record in the league. But they scored 13 fewer goals, finishing with 69. 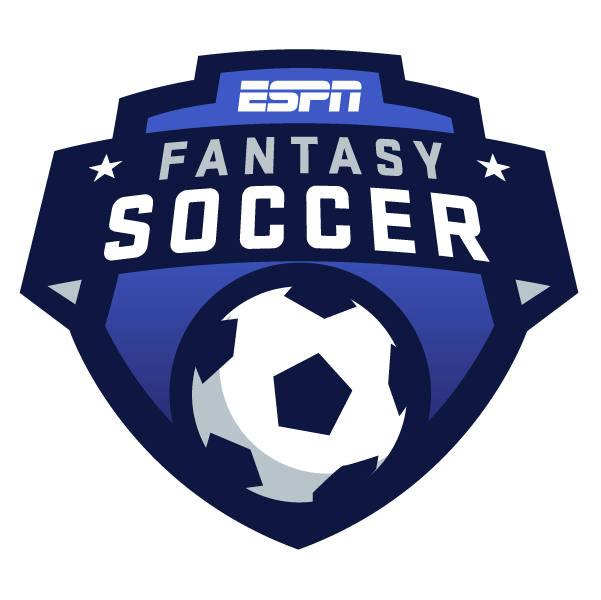 If ESPN had a Championship fantasy game last season, the only Cardiff outfield player that would have cracked the top 40 is Junior Hoilett, who had nine goals and 11 assists, and would have been ranked 22nd. Player to watch: Bobby Reid. He scored 19 goals for Bristol City in the Championship last season, and also had seven assists, earning a move to Cardiff and a shot in the top flight. Reid's only 25 years old, but it's worth noting he only scored three goals in 30 appearances with Bristol City the previous season. He's only started in two of Cardiff's first four games this season, and is yet to score a goal. A year after winning the Premier League, Chelsea dropped all the way to fifth place last season, five points behind fourth-place Liverpool. Manager Antonio Conte was sacked late in the summer, and former Napoli manager Maurizio Sarri took over with very little time before the new campaign began. Fantasy-wise, Chelsea's top two players last year would have been defender Cesar Azpilicueta and midfielder Eden Hazard, who would have been ranked 10th and 13th, respectively, among outfield players. Azpilicueta finished fourth in the league in passes completed (2,394), and Hazard had 12 goals, four assists, and finished fourth in chances created (84). Player to watch: Marcos Alonso. Chelsea is off to a flying start, winning their first four games under Sarri, and they currently boast four of the top 10 outfield players in fantasy points. Right now, Alonso is the highest-ranked defender in the league with a goal and two assists, and he easily could have scored more. After failing to score a goal in their first seven games last season, Crystal Palace rallied to escape the relegation zone and finished all the way in 11th place. Roy Hodgson engineered the turnaround, after previous manager Frank de Boer was sacked early on. Midfielder Luka Milivojevic would have been the only Palace outfield player to crack the top 40 last season (32nd). Milivojevic scored 10 goals, but he's not a natural goal-scorer -- seven of them came from the penalty spot. And he also led the league in fouls committed (69), which diminished his value. Player to watch: Wilfried Zaha. He had nine goals and three assists in 29 games last season, and seven goals and nine assists the season before. Zaha is very talented and should be entering his prime at age 25 -- will this be the season he truly breaks out? Perhaps. Zaha scored two goals in Palace's first three games this season, but missed last weekend's game due to injury. They finished eighth last year, five points behind Burnley, but it was a very disappointing season given the amount of money they spent on players last summer. Manager Sam Allardyce was dismissed, and Marco Silva -- previously of Watford -- is the new man in charge. Goalkeeper Jordan Pickford would have finished eighth in fantasy points among goalkeepers, and he also played well for England in the World Cup. But Everton's best outfield performer was Wayne Rooney, who would have only finished 63rd and has moved on to MLS. Player to watch: Richarlison. Everton paid what many people considered a ridiculously high transfer fee for the 21-year-old forward. But Richarlison flourished early last season under Silva at Watford, scoring five goals in his first 12 games. Unfortunately, he didn't score another one the rest of the season. But now he's been reunited with Silva, and scored three goals in his first two games for Everton. Then he got a red card for head-butting Bournemouth's Adam Smith, and still has one game left of his suspension. They finished third in the Championship, and emerged from the four-team playoff as the third and final promoted team. Fulham were fun to watch last season, scoring 79 goals in 46 games, but they conceded 46 goals ... seven more than the other two promoted clubs. Fulham would have had the second-, third- and fourth-ranked outfield players in the second division fantasy-wise last season, in midfielders Stefan Johansen and Tom Cairney, and 18-year-old fullback/winger Ryan Sessegnon. Johansen and Cairney scored eight and six goals, respectively, and were fourth and first in passes completed. Sessegnon had 16 goals and eight assists. And forward Aleksandar Mitrovic scored 12 goals in 20 games after coming over from Newcastle. Player to watch: Mitrovic. The 23-year-old Serbian's loan move has now been made permanent. Mitrovic wasn't nearly as prolific in his two full seasons with Newcastle, scoring nine goals in 34 appearances in 2015-16, and four goals in 20 appearances the following season. But he looks a much better fit in Fulham's system, and has already scored four goals in four games this season. The Terriers somehow survived in their first season in the top flight since 1972, finishing 16th last season despite having a minus-30 goal difference, the second worst in the league. They only scored 28 goals in 38 games, matching Swansea City for the league low. Midfielder Aaron Mooy would have been their best outfield player fantasy-wise, in 28th place. Mooy did a little bit of everything: He had four goals, three assists, finished 25th in passes completed (1,513) and 23rd in chances created (50). Player to watch: Mooy. There's not much to get excited about on the Huddersfield roster, fantasy-wise. But Mooy is only 27 years old, played for Australia in the World Cup, and should put up similar numbers this season. Two years after their Cinderella run to the Premier League title, Leicester City have come back to earth, finishing in ninth place last season. And they figure to finish midtable again at best in 2018-19, especially after star midfielder Riyad Mahrez moved to Manchester City. Mahrez would have been ranked 11th among outfield players in fantasy points last season. Forward Jamie Vardy (26th) and defender Harry Maguire (37th) also would have cracked the top 50. Vardy scored 20 goals last season for fourth best in the league. Player to watch: James Maddison. The 21-year-old former Norwich City midfielder would have been the top outfield player in the Championship in fantasy points last season, with 14 goals, 8 assists and 124 chances created -- 14 more than any other player. Leicester paid a decent transfer fee for him, and he should replace Mahrez as the team's primary playmaker. Maddison has a goal and an assist in the first four games of this season. They finished fourth in the league, handed champions Manchester City one of their two league defeats, and also beat them twice on their way to the Champions League final. And after adding some high-profile transfers, Liverpool are the second favorites to win the league this season, behind the defending champs. Mohamed Salah scored a league-high 32 goals last season, and also would have been tops in fantasy points, with nearly 60 more than any other player. Fellow forward Roberto Firmino was also excellent, with 15 goals, seven assists and a fantasy points haul that would have placed him 14th among outfield players. Player to watch: Salah. Some people think he can't replicate his incredible 2017-18 season. But he's only 26 years old, and should be even more comfortable in his second year with the club. Salah may not quite reach that gaudy goal total again, but there's no reason to think the number will drop precipitously. He has two goals and an assist in the first four games of this season, although teammate Sadio Mane has outshone him, with four goals in four games. They won the league by a whopping 19 points over Manchester United, scoring 106 goals (22 more than Liverpool in second place) and conceding a league-low 27. And they would have been dominant fantasy-wise as well. Six of the top 10 players in fantasy points last season would have been from Man City, headlined by Kevin De Bruyne in second place. Fellow midfielder David Silva and forwards Raheem Sterling and Sergio Aguero finished fifth, sixth and seventh, respectively. Defender Nicolas Otamendi, who completed a league-high 2,825 passes, finished eighth. And midfielder Fernandinho, who was third in passes completed (2,679), was ninth. Player to watch: Benjamin Mendy. The 24-year-old French defender only played in seven games last season due to injury, but has started all four games so far this season and already has four assists, tied for the league lead. Mendy's right behind Alonso, ranked second among all defenders in fantasy points. They finished in second place, but when the gap is 19 points and you're looking up at your city rivals, it leaves a bad taste in your mouth. Plus, Manchester United's preseason was a bit of a disaster, with lots of players missing for various reasons and manager Jose Mourinho lashing out via the media. Man United's star player last season was goalkeeper David De Gea, and he would have been a star in our fantasy game too tops among all keepers in fantasy points. Alexis Sanchez finished 16th among outfield players, but he only scored two goals in 12 games after coming over from Arsenal. Romelu Lukaku, who scored 16 goals last season, would have been ranked 20th. Player to watch: Sanchez. He had a summer off for the first time in several years, with Chile failing to qualify for the World Cup, and he looked rejuvenated in the preseason. Last season was disappointing, but two years ago Sanchez had 24 goals and 10 assists for Arsenal. The early returns aren't very good, however ... no goals and one assist through four weeks. The Magpies managed to finish in the top half of the table last season, in 10th place, after winning the Championship title the year before and returning to the first division. They only scored 39 goals last year, but only conceded 47 goals, the seventh-best defensive record in the league. Newcastle would not have been a great source of fantasy points last season, however. Their highest-ranked outfield player was defender Jamaal Lascelles, but he would have finished 61st in the league. Player to watch: Salomon Rondon. The 28-year-old Venezuelan has plenty of Premier League experience, having scored seven, eight and nine goals for West Brom the past three seasons. He's been loaned to Newcastle, and has no goals and one assist in his first three games. It was a great escape of sorts for Southampton last season, who narrowly avoided relegation by finishing in 17th place -- three points ahead of Stoke City and Swansea City -- after finishing in eighth the season before. They only scored 37 goals, and conceded 56. Southampton were also even poorer than Newcastle in terms of fantasy performers. Midfielder Dusan Tadic would have been their best player, but he only finished 73rd, and has left the club to join Ajax in the Dutch Eredivisie. Player to watch: Danny Ings. The 26-year-old forward scored 11 goals for Burnley in 2014-15, earning a move to Liverpool. But, largely due to injuries, he played in only 16 league games over the next three seasons. Now he's gone on loan to Southampton, and has scored two goals in his first four games. Spurs finished in the top four for the third straight season, this time finishing in third place, four points behind Manchester United and two points ahead of Liverpool. They scored 74 goals, tied with Arsenal for third best, but conceded only 36, 15 fewer than Arsenal. After leading the league in goals the previous two seasons, Harry Kane finished two shy of Salah last year, with 30. He still had a great season, and would have been ranked third overall in fantasy points. Teammate Christian Eriksen would have been right behind him in fourth -- Eriksen had 10 goals, 10 assists and was second in the league in chances created (95), behind only De Bruyne (106). Player to watch: Dele Alli. It's a little harsh to call Alli's 2017-18 season a disappointment -- he had nine goals, 10 assists and would have been 23rd among outfield players in fantasy points. But the year before, Alli had 18 goals, seven assists and would have been ranked seventh. He is only 22 years old, and certainly could rebound this year. Alli has one goal through the first four games, but teammate Lucas Moura has done much better, with three goals. Last season was pretty typical for Watford, who changed managers along the way and managed to survive, finishing in 14th place. They scored 44 goals, but conceded 64, the third-worst defensive record in the league. Watford's one standout performer fantasy-wise would have been midfielder Abdoulaye Doucoure, who finished 15th among outfield players. Doucoure scored seven goals, and was 12th overall in passes completed (1,877). Player to watch: Jose Holebas. Watford has been the biggest surprise of the season thus far, winning all four of their games, including a 2-1 victory over Spurs last weekend. And Holebas has been a big reason why -- the 34-year-old defender has a goal, four assists and nine chances created. The Hammers finished in 13th place in 2017-18, but gave up 68 goals -- tied with Stoke City for the worst mark in the league. Manager David Moyes guided them to safety after taking over from Slaven Bilic, but he has been replaced by Manuel Pellegrini, who previously won the league with Man City. Marko Arnautovic would have been their best player fantasy-wise last season, although he barely cracked the top 50 among outfield players (47th). Arnautovic finished with 11 goals and six assists. Player to watch: Felipe Anderson. West Ham paid big money to pry the 25-year-old attacking midfielder from Lazio. He only had four goals and seven assists last season, but made only 21 appearances, and 12 of them were off the bench. Anderson's capable of a lot more if he can remain healthy -- he had 10 goals and seven assists for Lazio in 2014-15. But West Ham are off to a dreadful start, the only team in the Premier League to lose their first four games. Wolves earned promotion by winning the Championship by nine points over Cardiff City, scoring a league-high 82 goals in 46 games and conceding a joint-low 39. They're back in the top flight for the first time since 2012. Their best outfield players in the Championship last season would have been Diogo Jota and Ruben Neves, who were ranked 10th and 12th, respectively. Jota had 17 goals and five assists. Neves only had six goals and one assist, but was fifth overall in passes completed. Player to watch: Jota. He's only 21 years old, is coming off an excellent season, and also scored eight goals in 27 games for Porto in the Portuguese league the season before. But Jota has yet to score in Wolves' first four games this season.